I am back after a long absence. (Thanks to the Webmaster ). Over time, I will tell you about its restart and restoration. Last edited by rudelan on Tue Sep 04, 2018 4:15 pm, edited 2 times in total. The numbers; engine, frame, gearbox, don't match. This quote is from an old Classic Bike article. 'Each GB box is stamped with a code on the top cover. This commences with GB and ends with the letter (A to M, without [? this bit of the photocopy is missing] ) which is the month, and two figures which tell you the year of manufacture'. 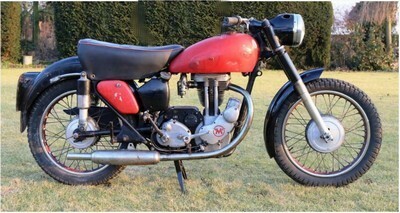 They give the example- '1955 350 AJS with a gearbox stamped GB23 F 55, ... made in June '55' . Trevor, it is most probably 'I' that is missing, it is standard (old school) engineering practice to go from H to J to avoid confusion on drawings. The restoration continues, here is a picture but some parts are still not found. But I like him. I own a G3LS 1955, I saw a magazine talking about this bike. Has anyone read or own this magazine? rudelan wrote: I own a G3LS 1955, I saw a magazine talking about this bike. Has anyone read or own this magazine? 1955 is a year for which the parts are different from the others and hard to find. This week, I dismantle the existing and I put the parts in boxes. Maybe in a few years? I hope. I tried to buy some parts on E..Y in India or Australia, but the Belgian customs blocked my purchases (Long live the Europe of the industrialists but not that of the private persons). Some parts can be found in UK but shipping costs often exceed the price of parts if they are large. My budget is limited, it is no longer possible for me. I was wrong, you have to buy a complete and rolling motorcycle. It's more expensive but realistic! Thanks to those who helped me with answers to my questions and especially to this one who offered me the book that I tried so much to buy me. Sorry but I would like to reply. It is a shame you have to end your project. 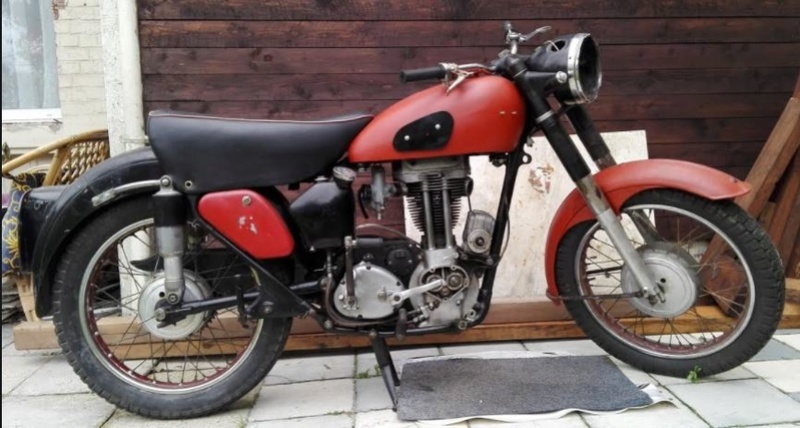 Although there were quite a few changes for 1955, many parts are the same other years and models. Some wrong parts for the year will also fit. I does depend how correct you want the bike to be. Because some parts are interchangeable, you do need to be careful when buying a complete bike. There are many bikes made of various years /models which are good to ride. You can still be happy with the bike. But if you want a bike that is all correct, think first and discover if it is correct. If you discover it is wrong after you buy, you will not be happy with the bike.